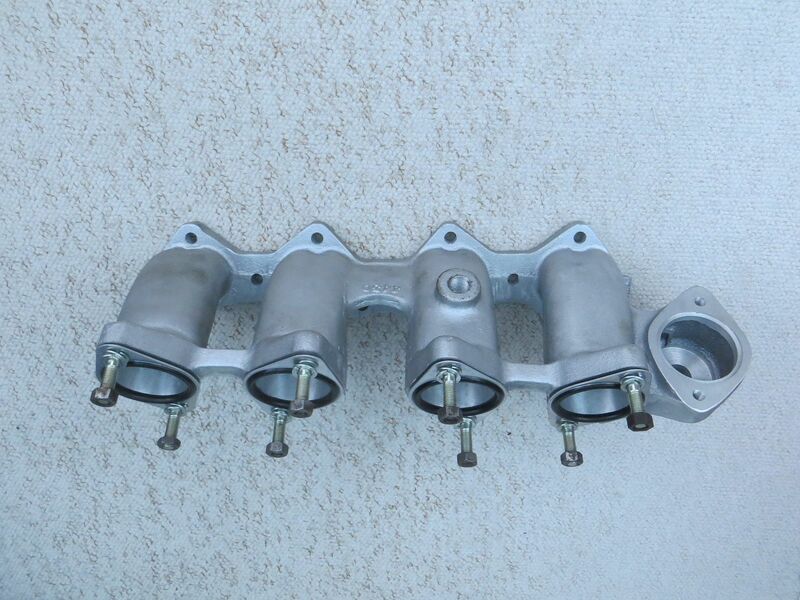 Does anyone have a Weber inlet manifold for a Sprint? Preferably with the bosses for the injectors but not the end of the world if it doesn't. The throttle bodies accept the injectors, James. As an aside, I went for Omex throttle bodies because Omex sell matched fuel rails. Ross Machine sell a drill bit but by the time you have paid the delivery, duty etc it is the thick end of £200. When you say it's hard to drill the fuel rail, is it because it's a hard material ? Thanks Ian, I know they do them but I wanted one with the injector bodies on. I'm not going for throttle bodies.... yet! I'm doing something else! I did wonder if that was so, James. I went for the throttle bodies because this method definitely does work. Without a lot of trial and error or luck, getting the plenum the optimum shape and size is a challenge? and a simple connection for a throttle cable. I also have a new gasket for it. Finally I have four new Bosch injectors 0 280 155 884 which I think are Rover K series 1800? £75 including postage is the price if you are interested. James I bought a new Mangoletsi inlet a year or so ago and it doesn't have any provision for injector bosses. Not sure if I will be using it or not at the moment.